This article is dedicated to GraphQL. I will explain what GraphQL is and what advantages it has over REST. Then we will create a simple web application that exposes GraphQL API on server-side and consumes it on client-side. Graphene Django for creating GraphQL API. 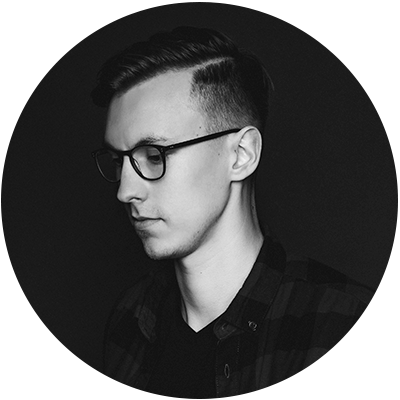 React Apollo for interacting with GraphQL API. Also I will show you how GraphQL Code Generator library can simplify development by generating TypeScript types and React Higher Order Components (HOCs) based on our GraphQL queries and mutations. This library will greatly reduce the amount of code that needs to be written. If you’re a web developer you’re probably already at least a little bit familiar with REST APIs. The concept behind REST is simple. You have resources and each resource has its own endpoint. And you have actions (GET, PATCH, DELETE, …) that allow you to perform different operations on these resources like getting resource, updating resource, deleting resource and etc. But if you’re developing REST API you’ll probably face some problems. Too many requests, especially if the user has a large number of followers. In that case, you only need to send one http request but it becomes very hard to read and maintain this API. But what if you need only the name of the user? In that case, you’ll get a bunch of data that you don’t need. Client specifies all the data that it needs in a query. It means no more over-fetching and under-fetching data because client gets exactly what it needs. Nothing more and nothing less. Client gets all the data in a single request which is not possible in REST APIs because REST requires loading data from multiple URLs. We have a single endpoint. No more v2 and v3 for the same API. Old fields can be deprecated and hidden from tools. Our API is strongly typed. This makes validation easier and provides us with useful client tools like auto-generated documentation or real-time error highlighting that wouldn’t be possible if the API wasn’t typed. Subscription – create long-lived connection with the server which allows client to receive event-based realtime updates. Graphene Django doesn’t support subscriptions for the moment of writing this article. So we’re going to discuss only queries and mutations here. Types have fields and each field has a type. For example, title field has a type String. Exclamation point at the end of the type means that the field is non-nullable, which means that the field should always return some data. After we create our schema, we can send different requests to API using GraphiQL interface. As you can see, the result has the same shape as a query. $ django-admin startproject simplenote . Resolver function is a method that being called when the client requests a field. But we don’t need to do any of this because DjangoObjectType does this automatically for every field that we specified in only_fields. Another thing that might be confusing is use_connection = True. This line creates connection for NoteType. Connection allows us to slice and paginate data in GraphQL query when we’re trying to get a list of notes. You could read this article if you want to learn more about connections. As you can see from the code, I’ve used django rest framework for validating input data. 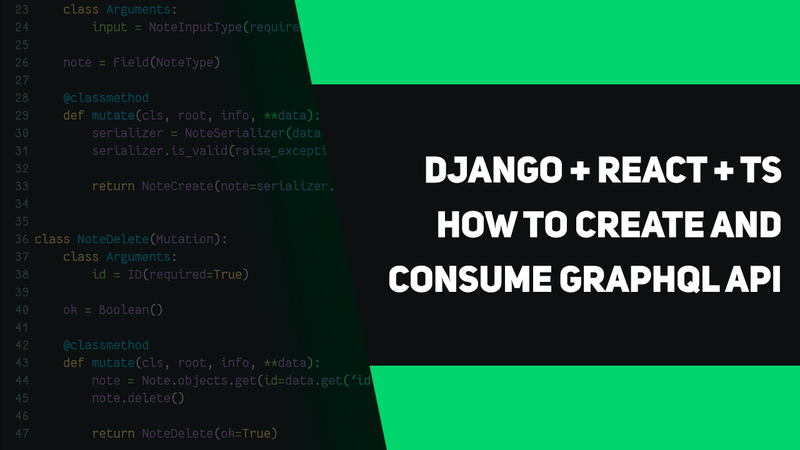 Graphene Django has integration with django rest framework and django forms out of the box but I don’t like how it’s implemented, so I prefer to write CRUD operations myself. Origin '<http://localhost:3000>' is therefore not allowed access. If an opaque response serves your needs, set the request's mode to 'no-cors' to fetch the resource with CORS disabled. Ant Design which provides UI design and React components out of the box. 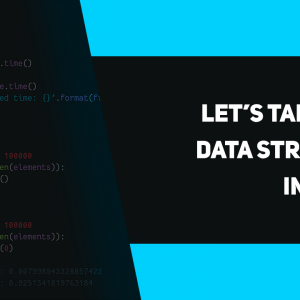 We will start from writing GraphQL queries and generating TypeScript types and HOCs based on these queries. Document which is a query itself. Generated Props which will help us to type component props. // Here we're updating our url after clicking `Search` button.